Adobe Stock is a new to the stock media industry, but it has shown a lot of potential. It is changing the world by providing great digital experiences and bring digital creations to life. It empowers everyone – from emerging artists to global brands, delivering premium quality images and footages for the best project results. Aside from igniting creativity in the community, AS also accelerates innovation and drives greater diversity and inclusion. It allows you to explore and make things work better. Adobe Stock has one of the largest stock media libraries today with over 50 million assets. It can be accessed in most countries and is available in 20 languages. It offers simple pricing starting $9.99 per image and $79.99 per video. Several subscription plans are also available with 10, 350 and 750 images per month. 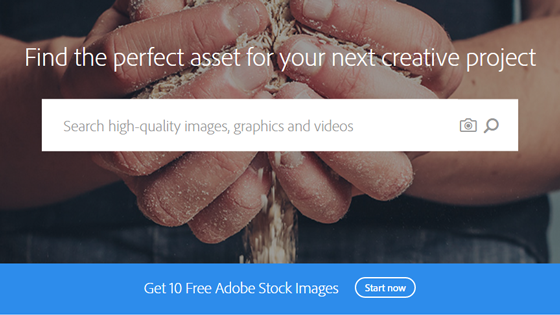 Creative Cloud users can search for Adobe Stock images right inside their desktop app. Integration with Adobe software also allows design comping and easy licensing. Adobe Stock was launched only a little over a year ago, but it has shown some unique features that make it valuable to many creative professionals. Existing Creative Cloud software users are definitely the winners with the stock site’s introduction. They can preview watermarked images inside their designs before they license them, saving them more time and money. With Adobe Stock, you can purchase the options that meet your needs. You can buy a single image or subscribe to a plan. Just recently, they’ve added videos to their offerings. High quality HD and 4K videos with dazzling resolution are waiting to be discovered. The stock also allows you to work faster by finding the perfect image right inside your favorite Adobe Creative Cloud application. What are you waiting for? Create and re-create masterpieces with Adobe Stock. Find the right asset to create your own work of art.